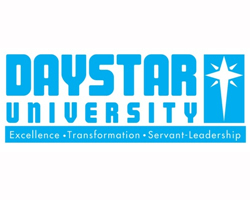 Daystar University seeks to develop managers, professionals, researchers and scholars to be effective, Christian servant-leaders through the integration of Christian faith and holistic learning for the transformation of church and society in Africa and the world. The University combines impressive modern facilities and a dynamic approach to teaching and research. Daystar University strives for excellence in its teaching and research methods. The University is well known for quality in teaching. Training is personalized and by highly qualified faculty. Daytime undergraduate programmes are offered at the Athi River Campus situated on the edge of the Athi plains on the slopes of the Lukenya Hills, about 40 kilometres from downtown Nairobi. Diploma courses, postgraduate programmes, day and evening undergraduate programs are offered at Nairobi Campus. Built on 300 acres of land, the University’s Athi River Campus is home to over 1,500 students both local and international. Daystar University, Athi River campus, is situated on the edge of the Athi plains on the slopes of the Lukenya Hills, approximately 39 kilometres from the city of Nairobi and 12 kilometres from Mavoko Town (Athi River).